This annual fall event is sure to please everyone. Come enjoy a beautiful fall day and admire cars, trucks, motorcycles, and tractors from years gone by. All are featured in a festive setting which showcases the fall splendor of our community. 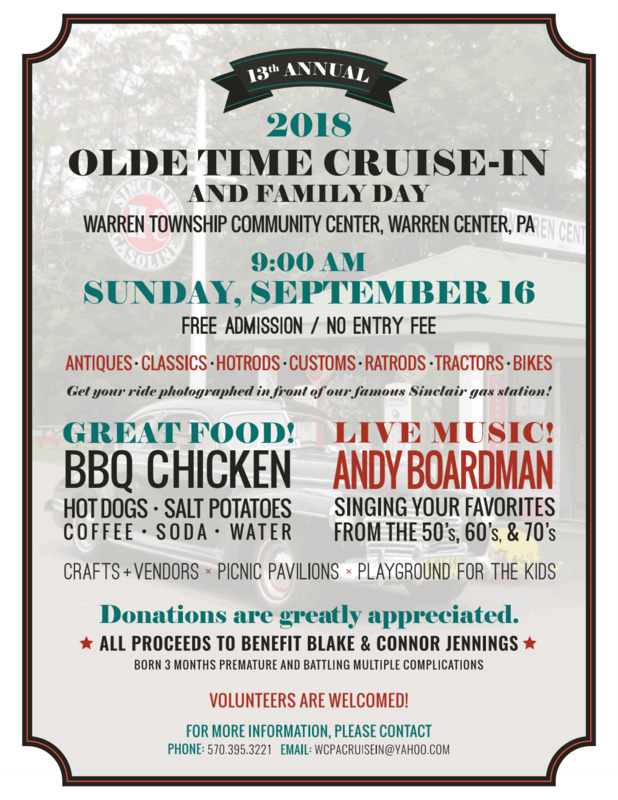 This event is held each September and the proceeds are donated to a person or persons within our community who are going through difficult times. This all day event showcases the restored vehicles while providing fun for the whole family. Come out and enjoy the good food, music and other activities. 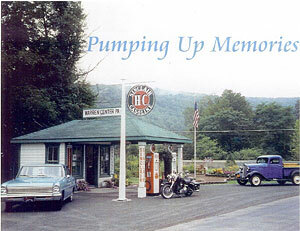 There is an opportunity to have your restored treasure photographed at the pumps of our authentic reproduction gas station. This turn of the century gas station is an exact duplicate of one that once operated within our community. Come early and stay until the ending "Parade of Cars". We look forward to seeing you and appreciate your support of this important community event.